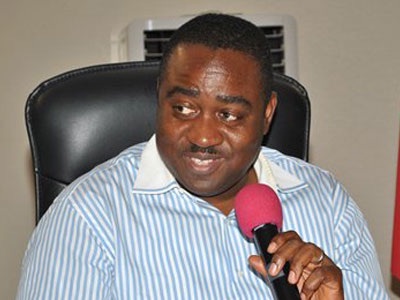 In spite of a Federal High Court interlocutory injunction restraining outgoing Benue State Governor Gabriel Suswam from appointing new first-class chiefs, the governor in a totalitarian fashion, appears bent on appointing ten before he hands over power. The governor has insisted that it has become necessary to have ten first class chiefs as it was being done in other states, and is banking on a controversial local government and chieftaincy bill recently passed by the state house of assembly which paves the way for him. Meanwhile, this development has attracted wide condemnation, protests and caution from stakeholders, most especially the Governor-elect, Dr Samuel Ortom who has maintained that such an action is ill timed and should be put on hold considering the huge wage bill and debt profile of the state, saying the court injunction stands. Reacting on the matter, the Commissioner for Justice, Dr Ierkwagh said the court order was yet to reach his office, hence gave the go ahead to Gov Suswam. Benue.com.ng understands that six names have been earmarked. Top on the list is Chief Dr Terkula Suswam (Tor Sankera) who is also Suswam’s elder brother, others include Chief David Afaityo Ajoke (Tor Jemgbagh), Chief Ambrose Pine Iortyer (Tor Kwande), Chief P. K. Ugandan (Tor Jerchira), Chief Goddy Ikereve (Tor Gwer), and Chief Moses Anagende (Tor Lobi). Those from Benue South senatorial district are still been sorted out amidst heavy lobbying and politicking, though former House of Assembly aspirant, Sunday Edo and John Enyi from Oju axis of the zone are said to be up and doing lobbying to be appointed for a slot to Oju/Obi traditional council area. Unconfirmed reports say Salary the chiefs will be entitled to monthly allowances amounting to N500,000 with a steward, driver, secretary and other clerical staff payable by the state government. The date for inauguration is yet to be announced but won’t be far off as handover is just over three weeks away.